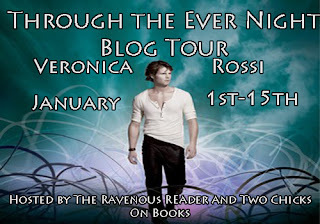 Google+ Reading Teen: Through the Ever Night Blog Tour: A Letter from Aria & a Giveaway! 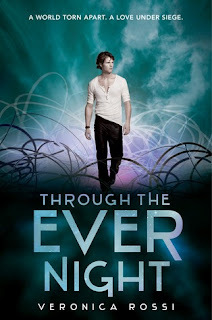 Through the Ever Night Blog Tour: A Letter from Aria & a Giveaway! How are you? I haven't seen you in SO LONG and I really miss you. They won't tell us anything about where you went or why, and it's driving me crazy not knowing. Some people are saying that you went to visit your mother, but you would have told me. Some people are saying that you died in an accidental fire, but I just won't believe that's true. Thing have been strange here lately, and I'm really worried about you. There are whispers that you went Outside and that a savage was in the Dome! Is it true? If it is, I have so many questions!! What is it like out there? Will we really die if we go Outside? Have you met anyone? If you've run into any savages out there, that must be so scary and awful, I can't even imagine! Those people have to be the ugliest, smelliest, most foul creatures on the earth. I heard that one of them was captured and brought into the dome. No one will tell me who it is, but I'm going to try to find out. I know this message will probably never reach you, but I just had to send it out there and hope you would see it. I miss you and hope that you are safe. If there's any way you can write me back, please do ASAP, and tell me everything that's happened! I don't have long to explain, but you're right about everything. There was a fire, and it happened when I was looking for my mother. Everything went wrong that night. Well, it almost did. It would have, if it hadn't been for the Outsider who had broken in. I'll explain everything soon. I'll tell you everything when we're together again. Rune, I've seen the Aether. There's no way to avoid it out here. It's everywhere, coating the sky like electric waves. It's beautiful when it's calm, but when the storms happen... I don't know how Reverie withstands them. They are the most terrifying things I've ever seen. I don't want to scare you, but you should prepare yourself. The storms are getting worse. The Outsiders say that we're heading into another Unity and I believe them, Rune. You're in danger. We're all in danger. But I'm trying to find us a solution. A safe place away from the Aether. That's why I'm still out here, instead of in Reverie, with you. Don't worry about me, all right? The Outsiders... they're not what we've been told. A few of them have come to mean a lot me, and I wish we were together, Rune. I wish I could tell you about one of them. One day I will. One day I'll tell you about Peregrine. I have to go. Tell Caleb and Jupiter and Pixie that I'm fine. Tell them not to worry. I'll come for you as soon as I can. 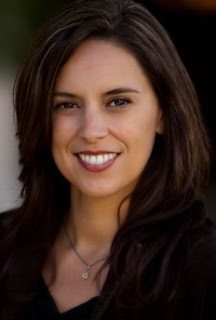 VERONICA ROSSI was born in Rio de Janeiro, Brazil. Growing up, she lived in several countries and cities around the world, finally settling in Northern California with her husband and two sons. She completed undergraduate studies at UCLA and then went on to study fine art at the California College of the Arts in San Francisco. UNDER THE NEVER SKY is her first novel. 1/10 Debbie's World of Books Guest Post: What song sums up Aria's journey so far and why? I want to say Realms but the Wilds is pretty dang awesome. Thanks for the awesome giveaway! I love this series so much! Thanks for the awesome giveaway. I'd love to win a copy of Vernoica's book. I'd rather live in the Wilds even if it is dangerous. Love the blog and reviews! The books you guys read are always on my list! Thanks for the giveaway! Thanks for hosting a great giveaway!! thank yous o much frot he giveaway. I am honestly not sure where I would want to live but I am leaning towards in the wilds. I just ordered Under the Never Sky. I need to get caught up with you all. Great giveaway! Thanks so much for the giveaway!! You are too awesome! I think I would rather live in the Wilds, as that is where things are real. I have been looking to read Under The Never Sky for quite a while , just didn't have the time to do so. Now that I am finally reading it, I am so excited about this giveaway! I would rather live in the Wilds but the Realms seem like a good virtual getaway. Thanks for the giveaway. Looks like a way cool book! Just wanted to say, thanks for the giveaway! Can't wait to read the books. Got the first one from the library and book two on hold for when it comes in! I lovedvthe first book and cant wait to read this one!!!! The wild!!! Why am I so emotional? I cried reading this! <3333 It! I rather live out in the Wilds. like the presentation of the post. The way it is presented looks attractive.